Home > Legal > NSW Strata Law > Can I Renovate My Kitchen Under the New Strata Laws? Can I Renovate My Kitchen Under the New Strata Laws? 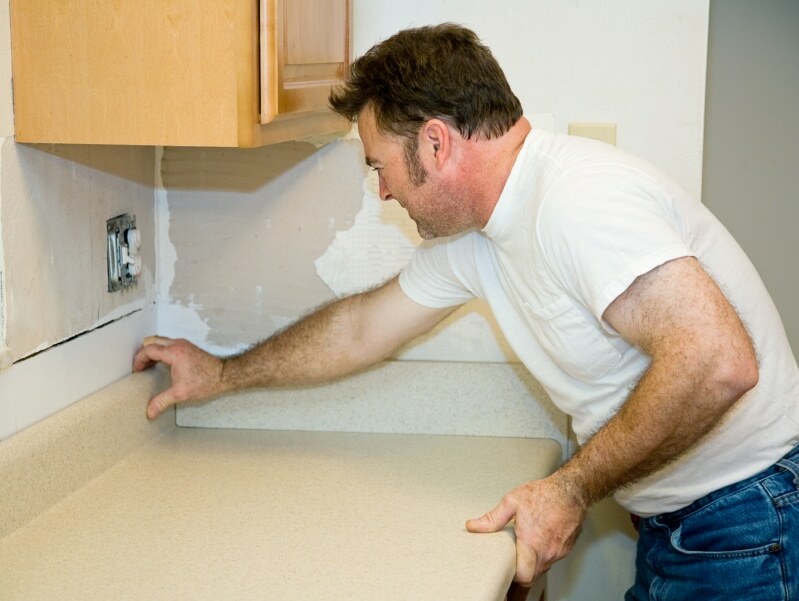 When it comes to kitchen renovations, living in a strata unit or apartment can be complicated. Failure to obtain permission for renovations could put you in breach of by-laws, and earn you a fine. You may even be required to return the apartment to its original condition – which may be something best avoided! But while it’s always important to thoroughly check the by-laws so you understand what you can and can’t do, and what permissions you need, it’s worth noting that new strata law reforms could also provide a shake-up. Contractor installing a laminate counter top during a kitchen remodel project. Level 1: Cosmetic changes – approval not required. This involves minor changes such as inserting picture hooks into a wall. Level 2: Minor renovations – general resolution required (50% approval from voters). These include renovations that do not affect the unit’s external appearance or its waterproofing, and which do not involve structural changes. An example is that of installing a timber floor. Kitchen renovations that will not involve any structural changes should also fit into this category. Level 3: Major renovations – special resolution required (75% of voters’ approval). Includes renovations that will have an impact on waterproofing or the external appearance of the dwelling, or that involve structural changes. These changes to the law regarding renovations have been proposed in order to modernise and streamline the renovation process for owners, and to take some of the ‘red tape’ out of living in a strata scheme. In that light, you will probably be able to go ahead and legally hang a new picture or paint a wall, without permission. For more involved changes, you will likely require written approval by a general resolution which involves 50% of those entitled to vote. But if you wish to thoroughly modernise your kitchen, you may require a 75% resolution of owners to vote on the renovations. In summary, make sure you get the appropriate approval in writing before commencing any work, so that you are not at risk of being found in breach of the by-laws.